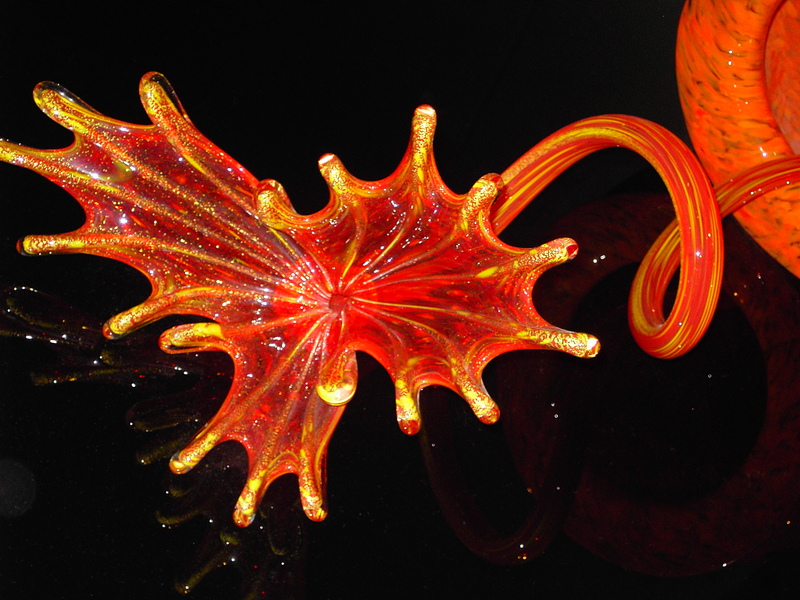 I’ve been a fan of Chihuly glass ever since I walked into the art museum in Oklahoma City and saw pieces like this. But it was this hallway that made me fall in love with the work. 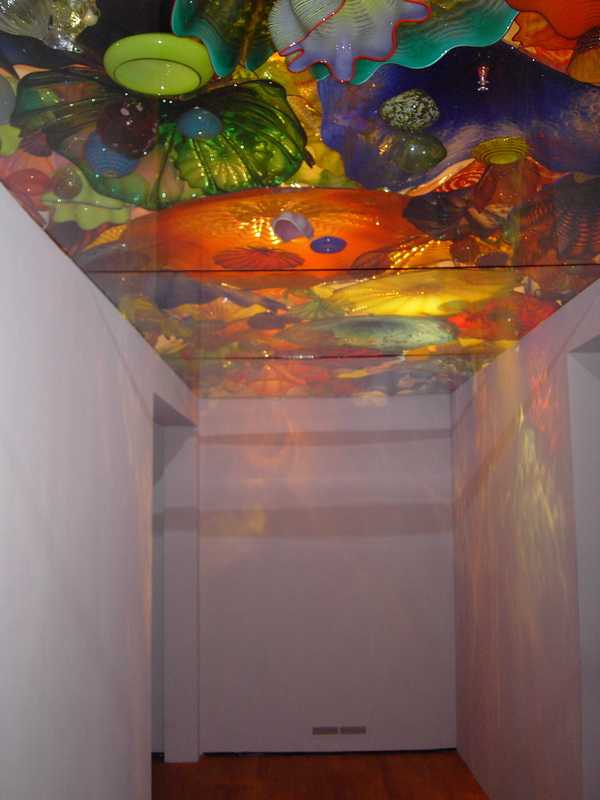 Here Chihuly chose to install the pieces lying on a clear glass ceiling. Looking up is like being underwater in the most amazing coral reef you’ve ever encountered, only upside down. The only way to view this that makes sense is to lie down on the floor. I was lucky the museum was pretty empty that day. My thought when I left the museum was that if I ever came upon a day when I just couldn’t handle whatever life was throwing at me, I would run, not walk, to this hallway, and get lost there. 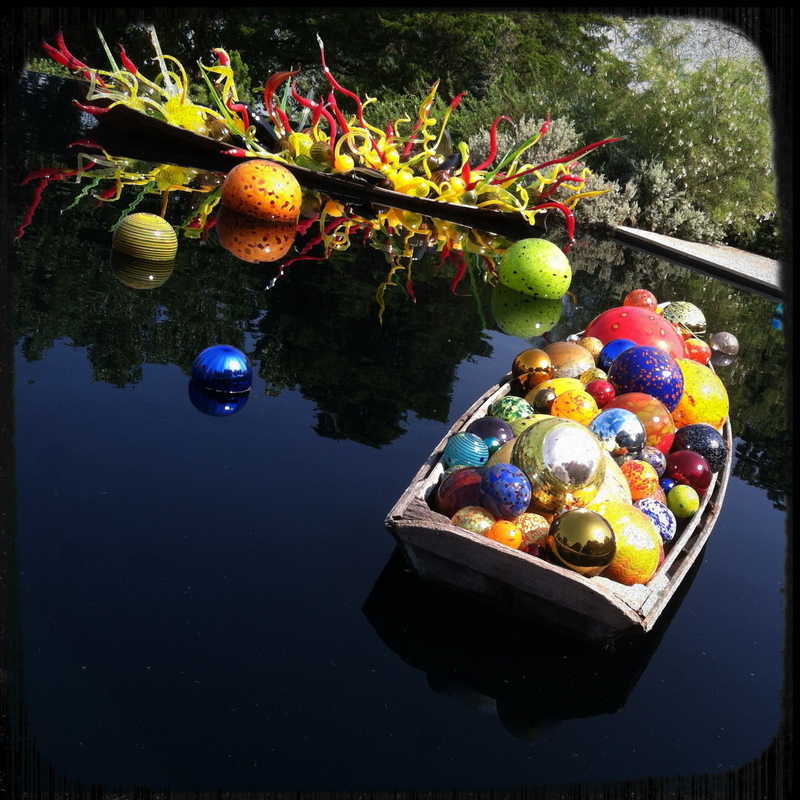 Years later I read an article about a Chihuly outdoor installation and vowed to find one…someday, somewhere. If the pieces were that spectacular in a small space I wanted to see them outdoors and on a grand scale. The exhibit at the Dallas Arboretum did not disappoint. Not everything was a favorite but many pieces completely blew me away. I’m not a fan of the larger yellow and orange pieces but the blues and the ambers, the greens and the whites, they pulled me in and made me smile. Seeing them in the landscape made them so much more than what they are alone. I couldn’t help feeling that a giant had been playing games in the arboretum and left before picking up his toys. Personally, I could look at this scene for hours at a time, day after day. I hope you enjoy the slide show of what I saw with my lens a few days ago. Not all of the pieces are here and I think I may have thrown in a few images of other things I liked at the arboretum but mainly this is about Chihuly and what he does with glass and color and light and the way in which art is made public. I plan on heading back to see the exhibit at night in a few months. Summer needs to take a step back first! Stunning! I know exactly what you mean about that ceiling installation. The Boston MFA exhibit included this, but it was very crowded so all I could do was throw my head back and spin in a circle. Thankfully, there were too many people for me to fall down! 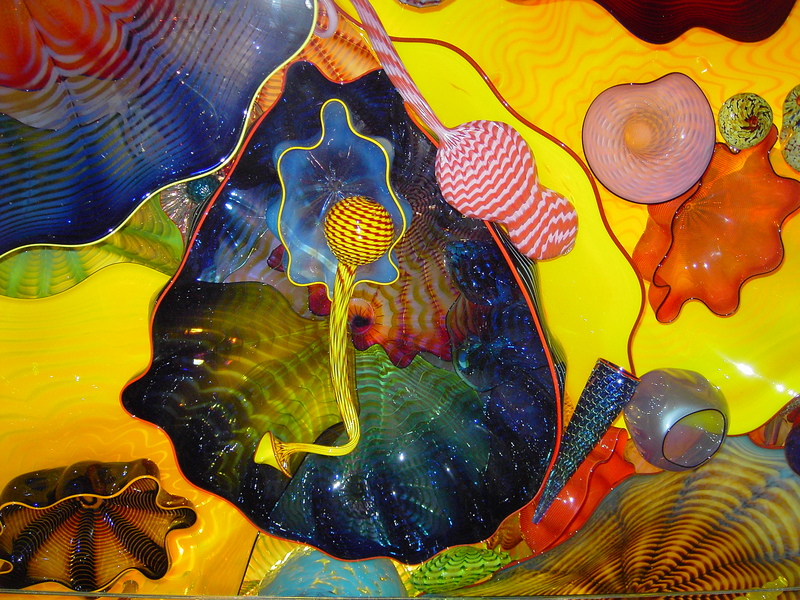 🙂 I now have seeing one of Chihuly’s outdoor exhibits on my bucket list. Thank you! I’ve never heard of these before. They are all so beautiful.